I read this article and found it very interesting, thought it might be something for you. 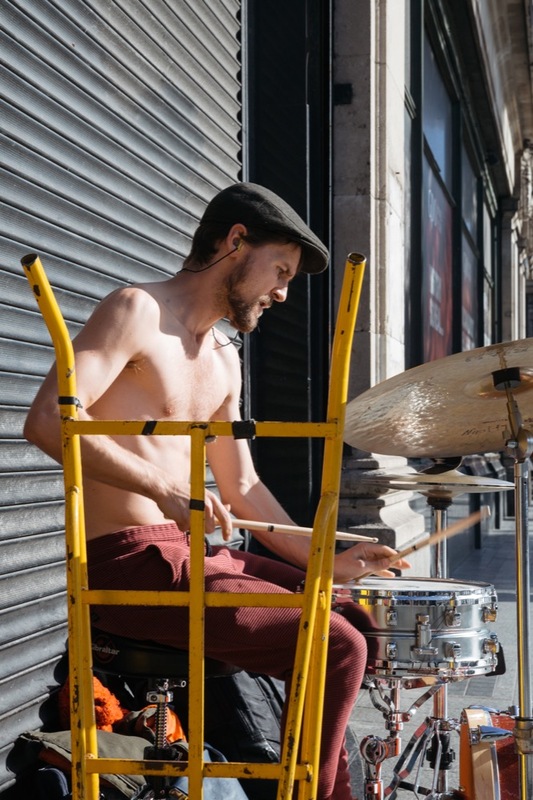 The article is called The Buskerteers and is located at https://www.totallydublin.ie/arts-culture/the-buskerteers/. Grafton Street attracts buskers from everywhere vying for attention and hoping to earn a living. And for every 12-year-old Allie Sherlock, who has signed a five-year-deal with Patriot Records and appeared on Ellen DeGeneres show, there are many more plying their trade and making it a better place. We spoke to some of our favourites and heard their story. Over the last 20 years, NC Lawlor has built a career as one of Ireland’s premier blues musicians. He’s booked countless gigs and residencies, supported the likes of Seasick Steve and Shane McGowan. and even travelled to Texas to play with legendary outlaw country star Billy Joe Shaver. Lawlor’s journey began as a young boy in England. Due to “bizarre family circumstances”, his family moved to Manchester, and although he speaks of those years in unfavourable terms, they did have a formative effect on his music. Years later, Lawlor returned to Ireland with a degree in fine art. It was 1998, and he was living in Dún Laoghaire, struggling to support himself as a painter. Desperate to make some money, he began to busk on the pier. “I did very well financially, and I could begin to live off that and continue to paint. But then I got really interested in songwriting and music took over everything.” Riding the wave of the Celtic Tiger, Lawlor booked residencies in various bars and restaurants. At his peak, he was playing five gigs a week. But for Lawlor, these were creatively stunted times. Things came to a head when he was offered a place in Billy Joe Shaver’s tour band. After playing all over Britain, Lawlor accompanied the band on their American tour. But, what should have been the culmination of his career became a time for serious reflection. 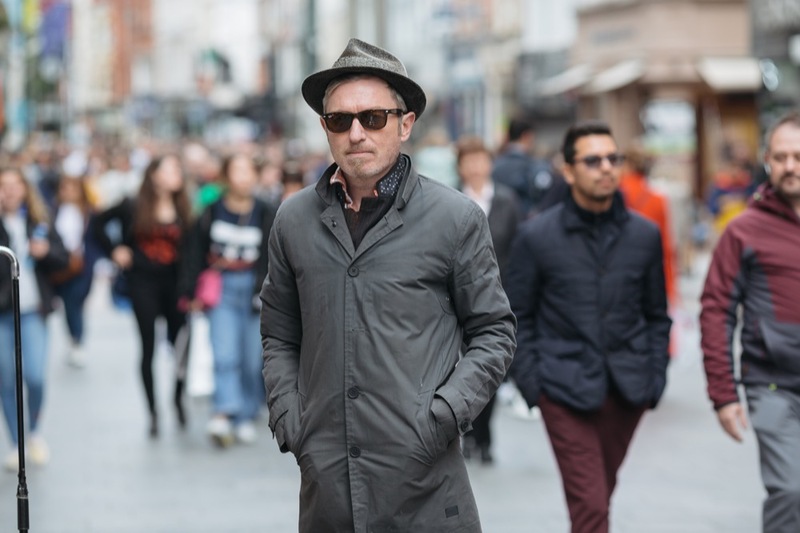 “When I came back, I fell in love with Dublin again. 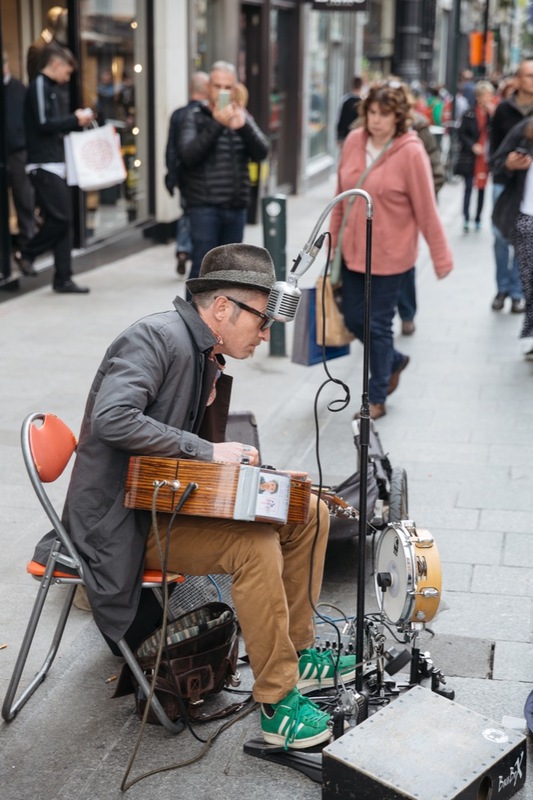 There was a huge, eclectic music scene that I’d overlooked, and I wanted to find the music I wanted to make.” It’s only in the last few years that Lawlor feels he is reaching his full potential as a musician, something he attributes in part to his increased busking. In addition to constantly busking and gigging, Lawlor is making tentative steps towards recording an album down the line, “if only to make a document of my work and clear the attic.” When asked where his work ethic comes from, he gestures to his hands, which have the words ‘True Grit’ etched upon them. 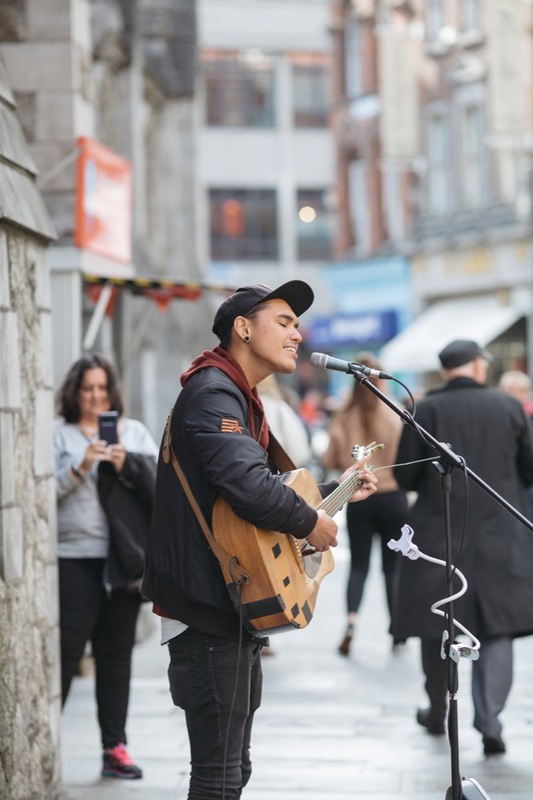 Jacob Koopman only planned to stay in Ireland for a couple of months, but five years later, he’s still playing on the streets and building his following. So what made him stay? Our rich busking scene? Our strong cultural heritage? “Actually I got a girlfriend. Irish girls, man,” he grins. When busking was banned in Amsterdam, Koopman, who is Indo-Dutch, returned to Bali. He came home to work, but realized he could still make money from music. Gradually he started to build his skills as a frontman, and when a friend came to Ireland to busk, he decided to join him. 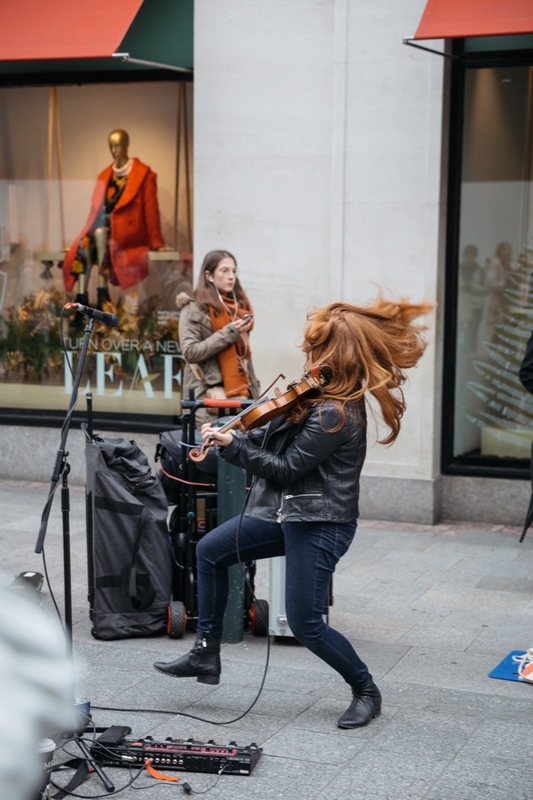 That’s important, because in addition to covering rent and living costs, busking is considered one of the last remaining avenues for independent artists to support a solo career. 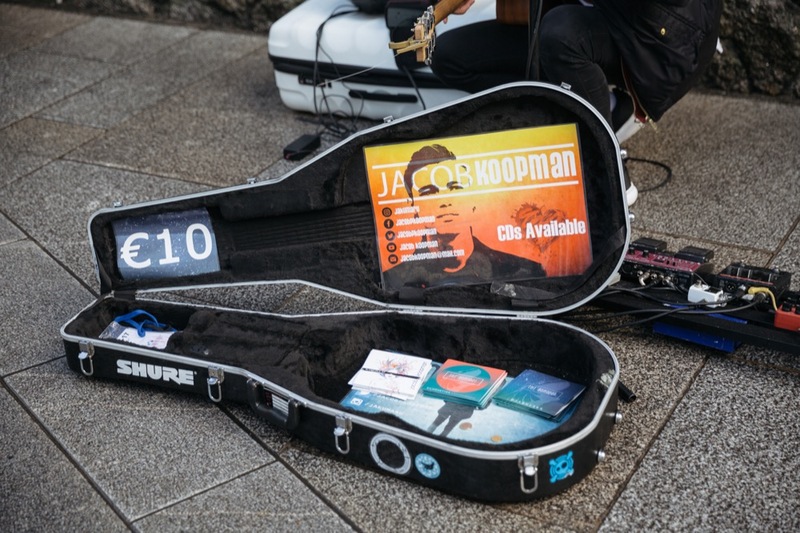 Like most buskers, Koopman is constantly reinvesting his money back into his music. In the process, he’s become a one-man record label. If you walk down Grafton Street this weekend, there’s a good chance you’ll find hundreds of people huddled around Brown Thomas, applauding and taking videos on their phone. At the centre of this congregation isn’t the latest season display, but Meg LaGrande, a commanding busker who’s bewitched crowds with her unique fusion of trad, electronica and pop. Originally from Canada, LaGrande moved to Ireland to pursue her passion for Celtic music. She had quit playing lucrative Celtic shows around the world to concentrate on songwriting, but was struggling to gain any traction. All that changed after a chance encounter with the Pierce Brothers, a band that made their career from busking in Melbourne. 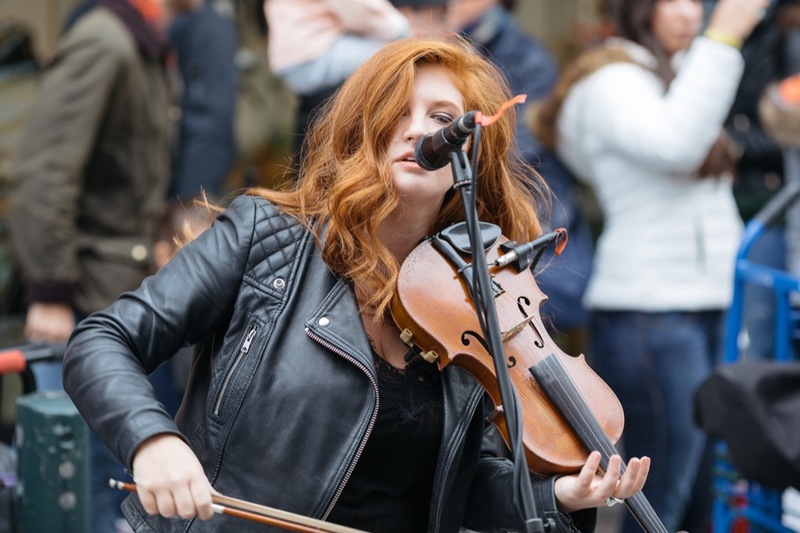 Since then, LaGrande has continued to blossom as a performer, thanks in no small part to the tutelage of other professional buskers who traveled to Ireland to play on Grafton Street. These musicians taught her the importance of claiming her space and creating an atmosphere. LaGrande is wonderfully candid about her experiences in the Dublin busking scene. When asked if she’s encountered much sexism amongst her peers, she answers with only the slightest degree of trepidation. 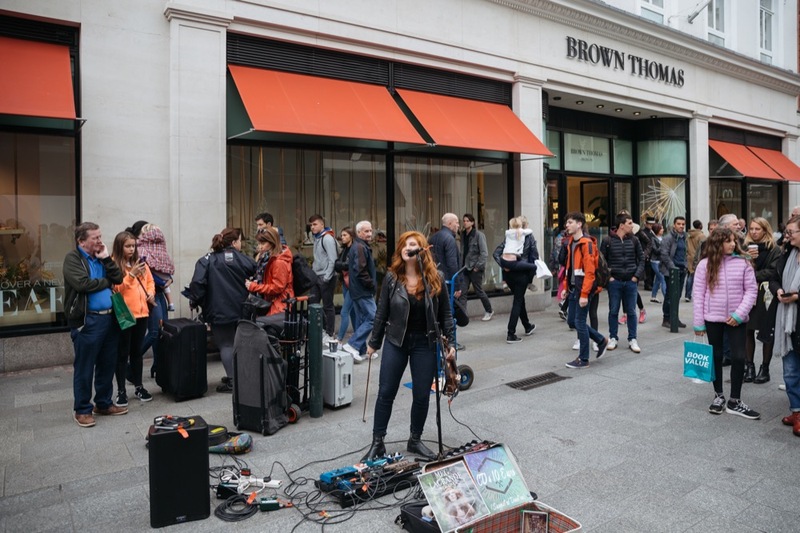 If LaGrande is frank about some of the issues with busking in Dublin, it’s because she views Grafton Street as a precious resource for musicians, something to be protected tooth and nail. Jason McNamara is a drummer of incredible scope and versatility. In the space of an hour, he’ll run the gamut from hip-hop to bossa nova and afrobeat. That makes the music that got him into drumming all the more surprising. Throughout his teens, McNamara played in a series of bands. It wasn’t until his early twenties that he realized that he could make a living from music. 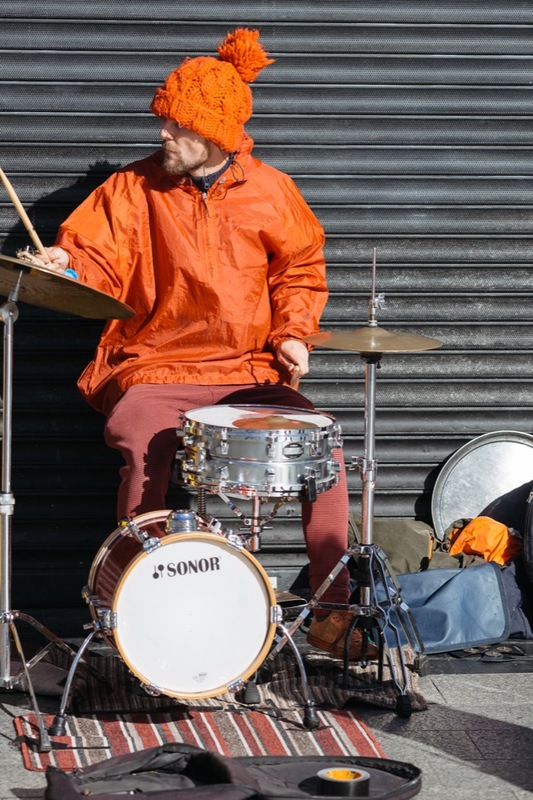 Eventually, he summoned the courage to bring his drums onto the streets, and he hasn’t looked back since. It’s led to some incredible experiences. In Kaohsiung, he played a New Years Eve party to a rapt audience in his hostel. In St. Petersburg, he taught a percussion workshop for orphan teenagers. One time while playing in Estonia, a girl watched him play for an hour before leaving a note. Later, a friend translated it.